Its original purpose was to keep peace on the western frontier, but in 1855 as the frontier moved further west, troops were withdrawn from Fort Snelling. With the outbreak of the Civil War, the fort was reopened and functioned as both an assembly ground and training camp for Minnesota volunteers. It remained open at the end of the Civil War and continued to be used as a training center. In 1947, the Fort Snelling Military Reservation was deactivated as a post, although it continues to function today as the headquarters for the 88th Army Reserve Command. The Fort Snelling cemetery was established in 1870 to serve as a burial ground for the soldiers who died while stationed at the post. 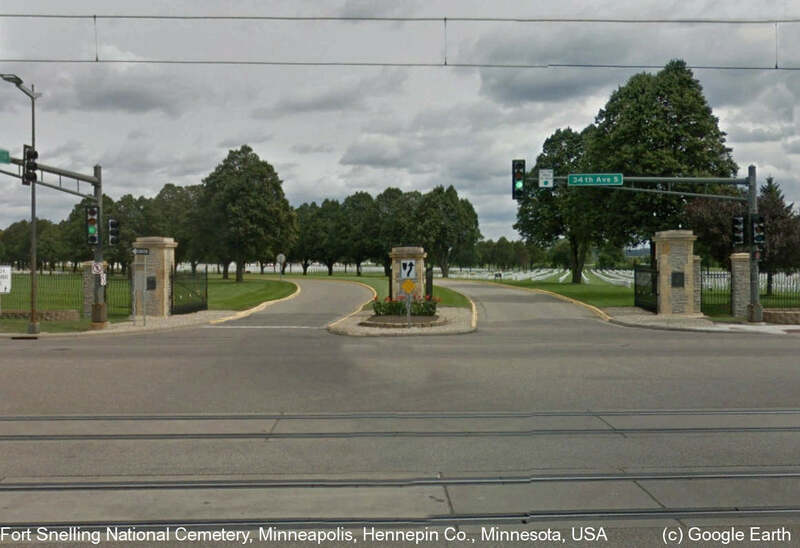 Following World War I, as new legislation expanded the eligibility requirements for burial in a national cemetery, the citizens of St. Paul organized a petition to designate a national cemetery in their area. In 1937, Congress responded with legislation that authorized a portion of land at Fort Snelling Military Reservation for this purpose. Fort Snelling National Cemetery was established in 1939 with the first burial on July 5, of Capt. George H. Mallon, whose acts of heroism at Meuse-Argonne in France were recognized with the Congressional Medal of Honor. Following the dedication of the new cemetery, arrangements were made for the exhumation of the remains of those buried at the older post cemetery and the reinterment of the 680 soldiers who served from 1820-1939 buried in Fort Snelling National Cemetery. The 1930s were also a major boom era for national cemetery growth. Ft. Snelling is one of a dozen or so very large cemeteries conceived between World War I and World War II to serve large veteran populations in some cities. Fort Snelling contains a memorial pathway that is lined with a variety of veteran's memorials from various organizations. As of Aug. 2006, there are 64 memorials at Fort Snelling National Cemetery—most commemorating soldiers of the 20th-century wars. The cemetery is open April through September Monday through Friday - 7:30 a.m. to 8:00 p.m., Saturday, Sunday and federal holidays - 8:00 a.m. to 8:00 p.m. From October through March, the hours are Monday through Friday - 7:30 a.m. to 5:00 p.m.
and Saturday, Sunday and federal holidays - 8:00 a.m. to 5:00 p.m.